Detailing the physical features, habits, territorial reach and other identifying qualities of the Fiery Searcher Caterpillar Hunter. The metallic green, gold and copper colors of the Fiery Searcher add beauty to function thanks to this Caterpillar Hunter's healthy appetite. 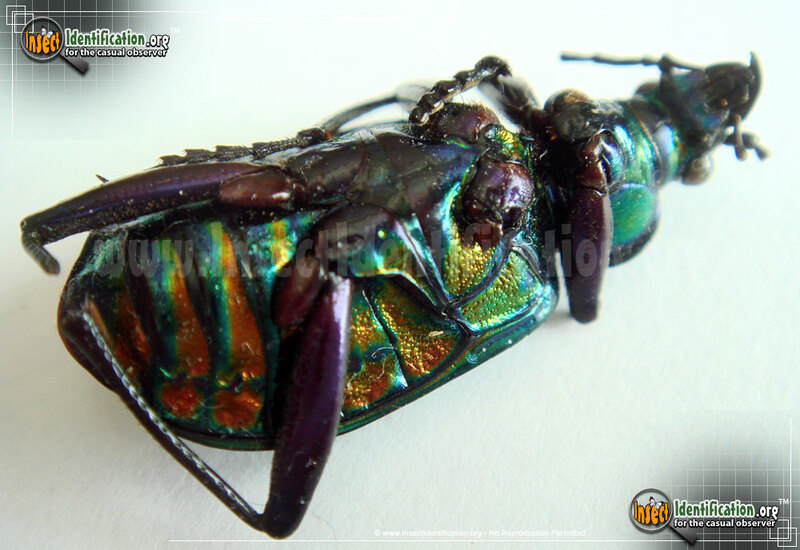 The Fiery Searcher is a beetle that belongs to a genus of Caterpillar Hunters. They canvas tree trunks, limbs and branches in search of their primary food source: caterpillars. They also roam through grass and gardens to find prey. Their voracious appetite makes them a true gardener's friend. Fiery Searchers eat many types of caterpillars that would destroy melons, tomatoes, squash and other backyard staples. Strong, large jaws allow the Fiery Searcher to easily dispatch a plump caterpillar. These same strong jaws may also pinch a person's skin if handled roughly, but they are not poisonous or venomous. 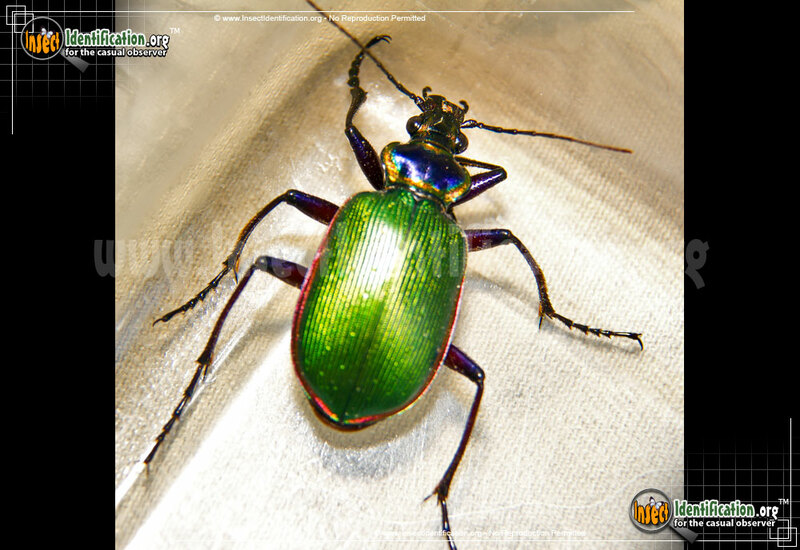 Look for Fiery Searchers in orchards, forests and parks with trees. Gardens with a Fiery Searcher roaming about are fortunate to have this hard-working ally on hand. Adults are shiny and have a metallic gleam. 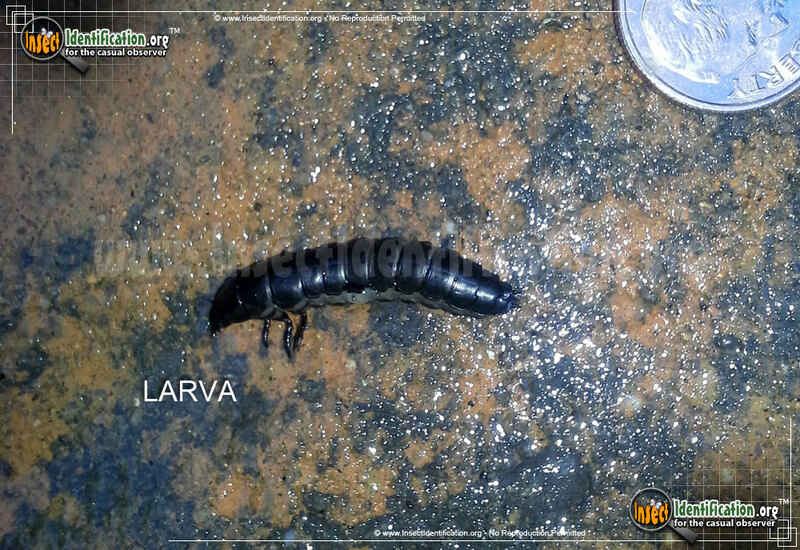 The head, legs and thorax are glossy black. A gold border surrounds the edge of the thorax. 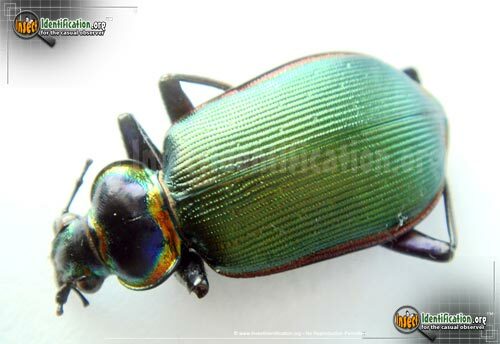 The abdomen is mostly green with a thin red edge around all sides. Females lay fertilized eggs in soil. 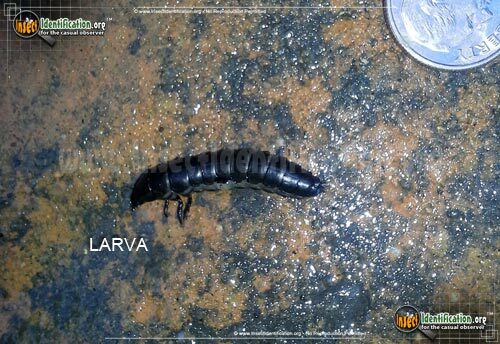 Hatched larvae pupate in cells on the ground and emerge as hungry adults. Only one generation is produced each year, but adults can live up to 3 years by seeking shelter over winter and resuming activities in the spring.